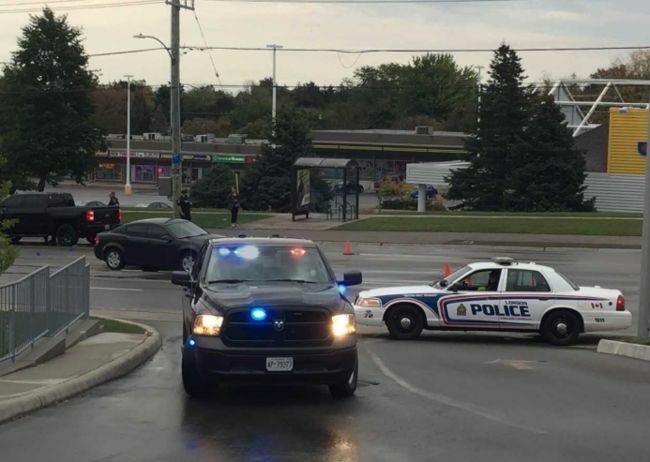 A pedestrian was killed Wednesday morning when she was struck by a vehicle north of the busy intersection of Commissioners and Wharncliffe roads. The woman tried to cross Wharncliffe where there is no traffic signal or crosswalk while it was still dark and raining about 6:45 AM, London police Const. Sandasha Bough told The Free Press. The woman was rushed to the hospital but died as a result of her injuries, police said. The driver of the vehicle that struck the woman remained at the scene. “All involved vehicles remained at the scene,” Bough said. Police shut down Wharncliffe between Baseline Rd. and Commissioners, and expected the road to remain closed during the morning commute, and perhaps longer, as police investigate. Police have not disclosed the name of the woman killed, only saying that she was an adult.